We were the first to offer chain-driven overhead cam technology in small, air-cooled vertical shaft engines, and our engines continue to be the best. They’re lightweight, yet rugged and powerful enough for equipment such as lawn mowers, pressure washers, walk-behind string trimmers, aerators, posthole diggers and lawn vacuums. Overhead cam technology and the hemispherical combustion chamber ensure the engine provides more power than competitive engines while using less fuel. Dual cams allow the engine to breathe better and run quieter. Hardened steel rocker arms increase durability and decrease maintenance requirements. Heavy-duty piston rings and a cast iron cylinder liner resist wear and extend engine life. 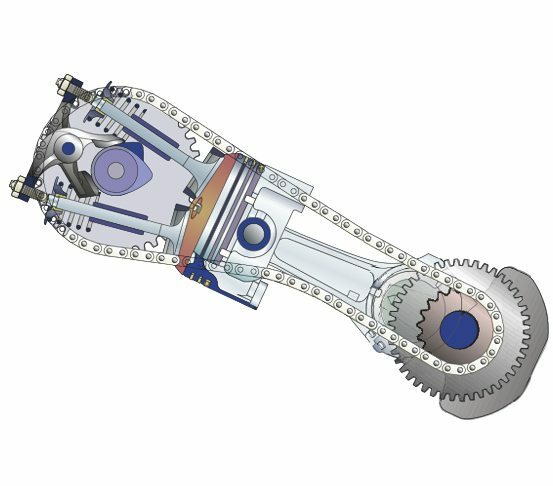 Steel timing chain reduces maintenance and noise levels. Industry-leading technology with superior power and reliability in a 100 percent original design. Straight intake and exhaust valves allow the engine to be positioned for optimum performance — lowering air/fuel flow resistance while improving power and fuel efficiency and lowering emissions.